I started by giving my cardstock a few sprays of mist, then adding the great chevron paper behind the open triangles of this cut file. I did a little machine stitching on some of the triangles for a bit of texture, then used the same spray mist on this cute cloud wood veneer, and added the lovely day flair button. I also added the misted geotag wood veneer, the sweet little heart die cut mini icon and the date label tag too. 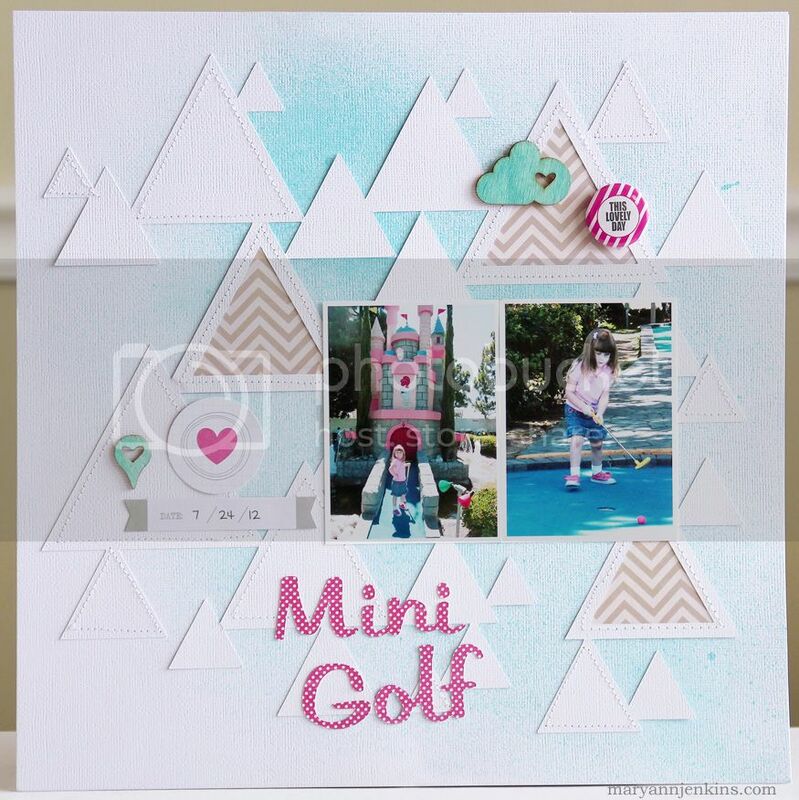 I finished it of with a die cut title, then wrote the story about her first time mini golfing on the back of the layout. 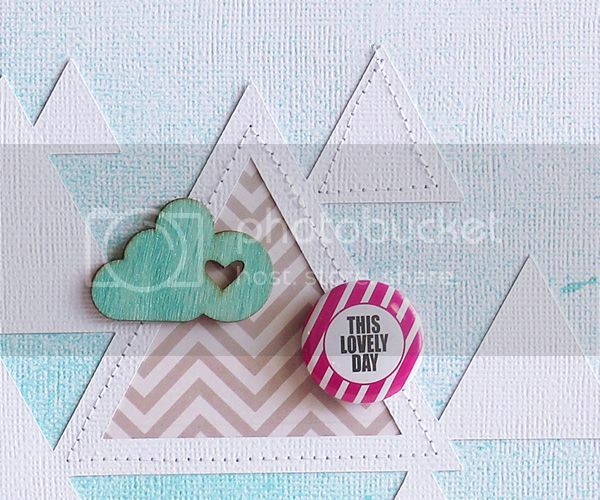 Supplies - Chic Tag: Cloud 9 "Lovely" patterned paper, Cloud 9 "Bloom" wood veneer, Cloud 9 flair button, Cloud 9 Mini Icons, Cloud 9 Label Stickers, Let's Go "Traveling" wood veneer, Heidi Swap: mist, Bazzill Basics cardstock. This is lovely. I cannot wait to get my hands on this collection. Love the triangles and misting. SO pretty. whoa this is so cool, love the shapes! So cute! 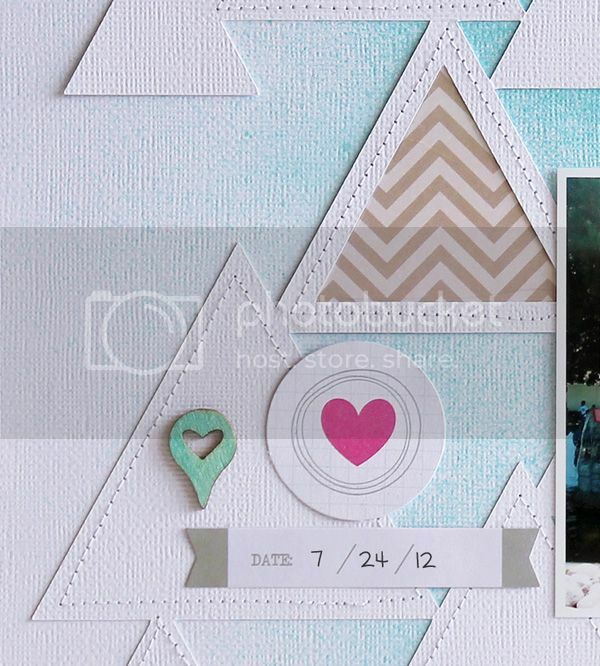 Love all the triangles, and the misting in the background is a perfect touch! This layout is amazing, Mary Ann!! Love the triangle design and the stitching is awesome!! I have such trouble with triangles, but this is beautiful, I love it! Yeah, you totally rocked this layout!!!!! As usual! Hugs!